When shopping for SR-22 insurance, keep in mind that there are alternatives to simply acquiring it from your current service provider. It may be that they don't even offer SR-22 coverage, or they may charge substantially higher than other companies. Shopping around for the best rates is actually recommended. Here are some tips on how to pick the right SR22 insurance company, as well as a list of recommended SR22 insurance companies. Look for an authorized provider, as not all companies are licensed to provide SR-22 coverage. To be compliant with the current rules and regulations, you must have your SR-22 certificate filed by a company who is authorized to do it. Your local DMV should be able to provide you with a full list of companies you can get your SR-22 insurance from. You may have to cancel your previous insurance policy. If you were insured at the moment of your conviction, your previous insurer may cancel your policy. This may be particularly the case if your previous insurer doesn't offer SR22 services. Full disclosure is mandatory when switching providers. If you have to switch carriers, both the old and the new insurer must be informed about your SR-22 requirement. It is against the law to get dual policies. When moving out from the state where you received the original SR22, you must first comply with the terms and requirements from the state where the suspension occurred. Understand the fees. Next to the policy which is going to cost substantially more than regular liability coverage, some SR-22 insurance companies may charge anything between $20 and $50 (sometimes even more) for issuing your SR-22 certificate. Next, you will also be billed a reinstatement fee for your driver's license, which is usually in the range of $50. 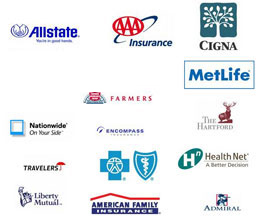 In no particular order, here are some of the insurance companies that offer SR22 insurance in most states. GEICO: The name speaks for itself. As a top-notch insurance company with a long history of satisfied customers, GEICO can be your number one choice if you are looking for SR22 insurance. AARP: They sometimes have a slightly different underwriting system that could save you small fortunes. Whether or not they are on your preferred insurer list, ask them for a quote. You may be surprised! Allstate: They offer a top-notch service – timely filing and great support. You can be eligible for rebates if you were an Allstate customer before the SR-22 requirement. Nationwide: They strive to be the most competitively priced on the market, and sometimes even manage to do it. Again, give them a shot if you are shopping around for the best deals! Farmers Insurance: Again, a cheap and fast filing of the SR22, good rates and an overall recommended service. USAA: Their services are limited to the US Army personnel and their families. If you are or have been enrolled in the military you may have hit the jackpot – they have some of the lowest rates on the market and a handful of unique privileges. S.F. : Statistics say they are today's largest car insurer, with a market share of more than 20%. Millions of vehicle owners can't be wrong! Esurance: The online interface Esurance offers is worth every penny spent. It is so well-built and user friendly that you won't ever need to call an insurance agent. Their rates are competitive and the SR22 filing process is one of the fastest.